Langley and Fort Langley combine the best of amenities of city living with the peaceful sustenance of a more rural lifestyle, earning it the name "The Country Side of Vancouver". Bustling civic development and a beautiful pastoral landscape make the community of Langley a fine place to live and to visit. 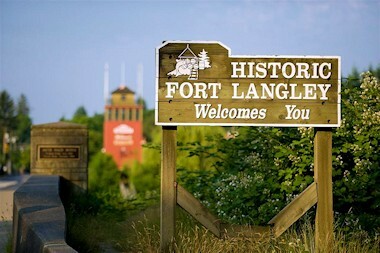 Stretching from the south bank of the Fraser River to the U.S. border, Langley actually refers to two municipalities: The City of Langley and the Township of Langley. Langley, where the city meets the country, offers an eclectic blend of urban pursuits, cultural activities and rural rambles. With its great number of horses per capita it has become known as the "Horse Capital of BC". The Greater Vancouver Zoo can offer an up close and personal view of many exotic animals as well as local wildlife. The surrounding countryside lends itself to hiking, biking, riding, camping and other activities. 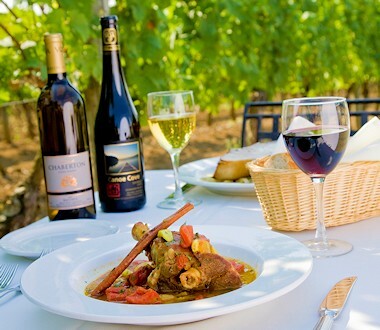 Boasting local wineries, over 300 acres of beautiful parklands, abundant farms and nurseries, and a thriving arts community, every season offers exciting activities here. Three regional parks in the vicinity serve walkers, hikers, equestrians, fishermen and history buffs. The City of Langley encompasses 10 square kilometers (4 square miles), at the centre of a growing retail trade market of 500,000 people. With a local population of 25,000 in the City and 104,000 in the Township, the people of Langley enjoy a relaxed lifestyle and a strong community spirit. 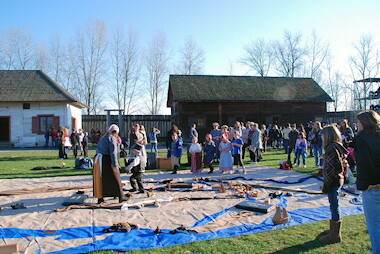 The visitor should not leave the area without a visit to Fort Langley, British Columbia's birthplace. The community offers not only cozy cafes, quaint shops, galleries and stores but also a historic component that is fascinating. Visit the Fort Langley National Historic Site where you can step back in time at the original site of the Hudson Bay Company trading post. 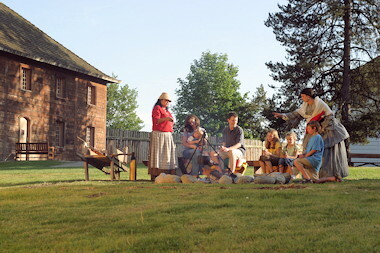 Explore BC�s oldest building, the storehouse, at this reconstructed Hudson�s Bay Company fur trading post, just 40 km east of Vancouver. Costumed guides share unforgettable stories of fur trade life, the Fraser River gold rush & the founding of British Columbia. Discover how First Nations women enriched Fort Langley culture, diversifying the company�s trade with salmon & cranberries. Try your luck at gold panning, watch barrel-making & blacksmithing demonstrations. 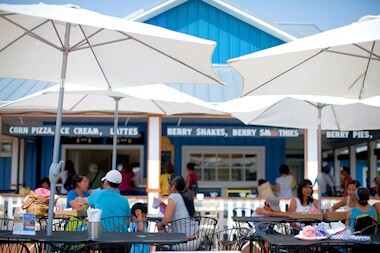 Enjoy cultural exhibits, a gift shop, Full Barrel Caf� (summer) & much more. Accommodations: There are a variety of hotel/motel accommodations available in Langley with a number of campsites close to the city. Many regional and provincial campsites are in the area. Elevation: 11 m. (36 ft.). Climate: moderate, coastal-marine, characterized by a long frost-free growing season, mild wet winters, warm summers and relatively high levels of precipitation (average 1,400mm/55inches). Averaging a daily high of 24C (76F) in the summer and 5C (41F) in the winter), it is never really too hot or too cold. Access: Langley is located 30 miles (50 km) southeast of Vancouver, BC, on Highway 1A. 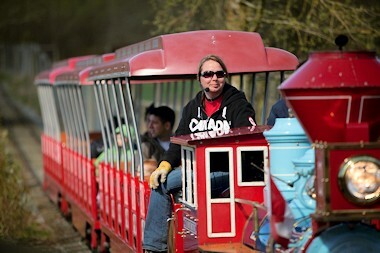 Langley is surrounded by the communities of Fort Langley, Surrey, White Rock and Abbotsford. Recreation Facilities & Activities: golf courses, campsites, cycling trails, fishing, skating rink, aquatic centre, pool hall, bowling alley, water park, hiking, horseback riding, library, soccer fields, tennis courts, wave pool. Local Attractions: Community of Fort Langley, Fort Langley National Historic Site, Canadian Museum of Flight and Transportation, Langley Centennial Museum, Greater Vancouver Zoo, Wark-Dumas House, Michaud House, Sendall Gardens, Nicomekl River nature preserve, hot air balloon rides, Llamas and Alpaca farms, Horseback Riding paths, Langley Bike and Rollerblade Trails, Circle Farm Tour, art gallery, craft shops & Wine Tours.